MOSCOW (Sputnik) – Russia has stopped the use of Iran's Hamadan airbase, a spokesman for the Iranian Foreign Ministry said Monday, as cited by Tasnim news agency. The Russian side has yet to issue an official comment on the matter. Iran will not transfer control of Hamadan air base, from which Tehran allowed Moscow to carry out strikes against terrorist groups inside Syria, to Russia, Iranian Defense Minister Hossein Dehqan said Monday. On August 16, Russia used the Iranian base for the first time in its anti-terrorism campaign in Syria. Russian Tu-22M3 long-range bombers and Su-34 strike aircraft carried out airstrikes against the jihadist groups Islamic State and the Jabhat Fatah Al-Sham, formerly known as the Nusra Front, in Syria. "We will under no circumstances provide Russia with the [Hamadan] military base. They [Russians] did not come to stay for good," Dehqan was quoted as saying by the Tasnim news agency. On Saturday, Dehqan said that Russia can fly jets from Iran's Hamadan airbase to strike jihadist targets in Syria for as long as needed but Tehran has no plans to give Russian forces access to other Iranian air bases for Moscow's counter-terrorism operation in Syria. 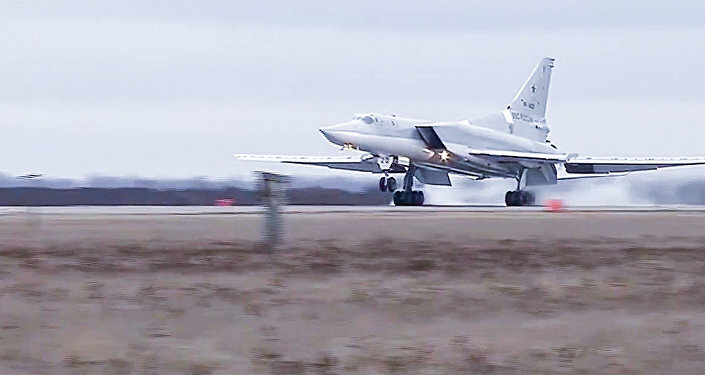 The Tu-22M3 is a long-range bomber capable of carrying nuclear weapons. Such bombers have previously carried out airstrikes against IS (banned in Russia) targets in Syria from Russian airspace. The Su-34 fighter-bomber has been tested in the war against Islamist radicals in Syria, being among the first aircraft to serve in the Russian campaign there in 2015.